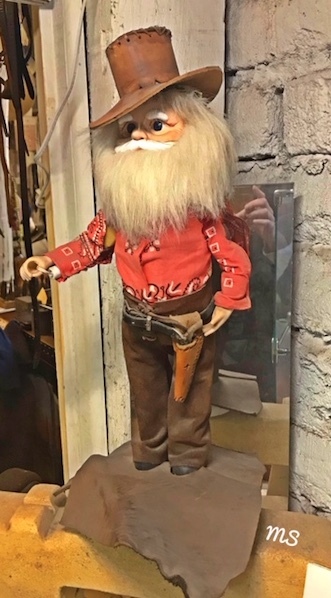 Can Grand-dad Russell 2000 Hold onto the Bucking Bull? Yesterday, we covered the laggard Retail Sector (XRT) of the Modern Family throughout this rally. XRT mainly represents the brick and mortar stores. Yesterday, the Retail Sector (XRT) finally cleared the 200-WMA at 44.66. Today, XRT closed at 44.91. Today, we switch our focus to Russell 2000 (IWM). The Russell 2000 is all about manufacturing and supply in the United States. In terms of performance compared to the other 3 indices, it too is a laggard. Our Granddad Russell is dressed in Southwestern garb (see below). He’s trying hard to cowboy up. 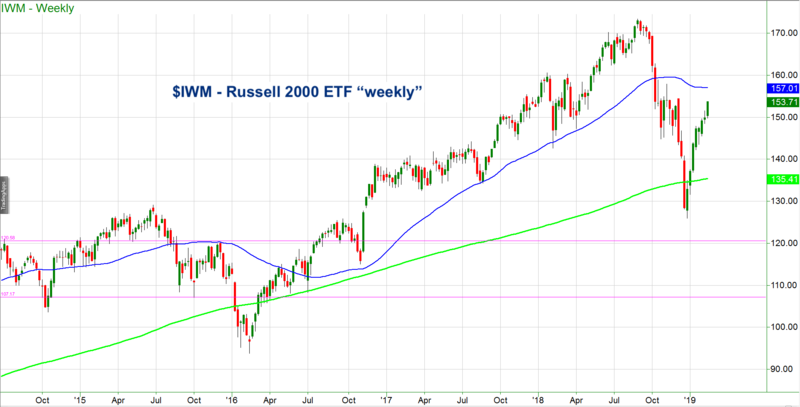 Is IWM ready and able to hold onto the bucking bull? The chart is a weekly timeframe of the Russell 2000. The peak high in August 2018 was 173.39. The same year, the peak low was 125.81. Once IWM cleared 150, it did more than a 50% bounce from low to high. Now, IWM is trading near 154. The blue line or 50-week moving average sits at 157.01. That is in direct contrast to Semiconductors, who is now over the 50-WMA at 100.90. 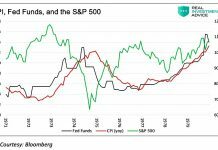 That begs the question, will IWM catch up? One clue will be how Transportation IYT performs from here. IYT is sitting right under its 50-WMA at 189.74. Can Granddad hold onto the bucking bull? A lot will depend on what IYT does this week. If IYT clears and holds over the 50-WMA, then there is a high probability IWM will at least tackle its 50-WMA. If IWM gets to 157.00, might that be the top? And if IYT fails to take out 189.74 and turns down below 185.50? Then, I would expect our aging cowboy to fall off the horse long before it gets to 197.00. S&P 500 (SPY) 274.12 is the 200-DMA and now pivotal support. Russell 2000 (IWM) 152.40 now pivotal support. IYT (Transportation) 185.50 now support with 189.74 the next bigger resistance point.